Heavily promoted by Christian retail chains, the Newsboys' first album to feature new lead singer Michael Tait--formerly of dcTalk--has sold more than 45,000 units its first week, becoming the biggest release in the band's history, according to its label Inpop Records. The pop/rock group's 15th studio project, Born Again is the second-highest Christian artist debut on the Billboard Overall chart and the third-highest debut on the SoundScan Contemporary Christian Overall chart for 2010. The album ranked No. 4 on Billboard's Overall chart above new releases from such artists as Sting and M.I.A. According to SoundScan, Born Again has sold 45,311 units since it was released July 13. Additionally, Born Again placed in the top four on iTunes' Overall chart along with Sting and the Twilight Saga: Eclipse Soundtrack, Inpop Records said. "The record-setting number of sales reflect the dedication and hard work of Newsboys to create another groundbreaking musical creation," said Andrew Patton, general manager of Inpop Records. "The amazing support of Christian radio stations, festival promoters, our hard-working Inpop staff and our partners at EMI CMG Distribution have all earned our thanks." Originally slated to go on sale June 8, Born Again was delayed to enable the four-member band to finish work on the project. Comprising Tait, Jeff Frankenstein, Duncan Phillips and Jody Davis, Newsboys performed on the Winter Jam tour earlier this year. 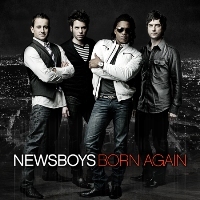 Click here for more information on Newsboys' Born Again .